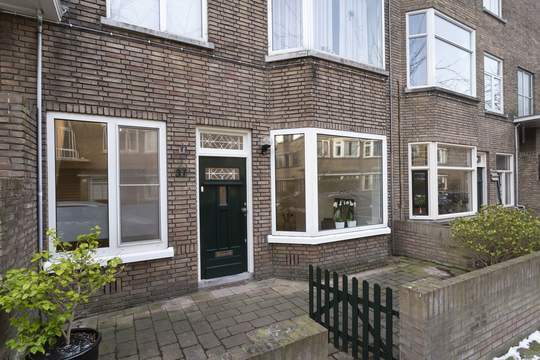 Luxurious partly furnished apartment in the centre of The Hague with a high service level! La Fenêtre is situated in the middle of the vibrant city centre of the Hague, a stone's throw away from the central railway station. A luxury 3 room apartment on the 20th floor with a balcony facing southwest and a magnificent view over the centre of The Hague. Layout: entrance; hall; living with open modern kitchen with all conceivable equipment; balcony facing southwest and with a nice view over the centre of The Hague, masterbedroom, 2nd bedroom; bathroom with bath, separate shower en double sink; toilet; spacious storage with freezer. Storage in the basement. Convenience, service and safety are paramount in La Fenêtre. The home convenience system IRS for example is at your disposal. The servicemanager will be happy to be of assistance. As resident of La Fenêtre you have exclusive access to the in-house health and leisure centre. In addition to a relaxation area and two saunas you will find a fitness room with the latest equipment.